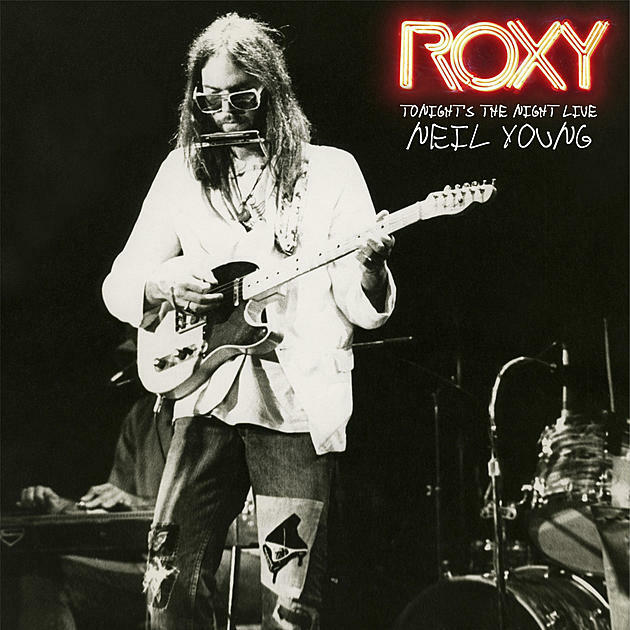 Neil Young is sharing details of his forthcoming album, “Roxy - Tonight's The Night Live”, a recording from a series of September 1973 shows at the famous Los Angeles club that will be released in April. The project captures Young performing during the venue’s opening week with the Santa Monica Flyers, the name he gave to the band featured on his sixth album, comprised of Nils Lofgren on piano, Ben Keith on pedal steel guitar, and Crazy Horse members Billy Talbot on bass and Ralph Molina on drums. “We had finished recording TTN and decided to celebrate with a gig at a new club opening on the Sunset Strip, the Roxy,” says Young. "We went there and recorded for a few nights, opening the Roxy. We really knew the Tonight's the Night songs so we just played them again, the album, top to bottom, two sets a night for a few days. We had a great time. Roxy - Tonight's the Night Live is the live recording we made." “Roxy – Tonight's The Night Live” will initially be released via a 2LP package as an exclusive Record Store Day edition on April 21; a standard vinyl, CD and digital version will be available April 24.